Have a guy friend who's always there for you? 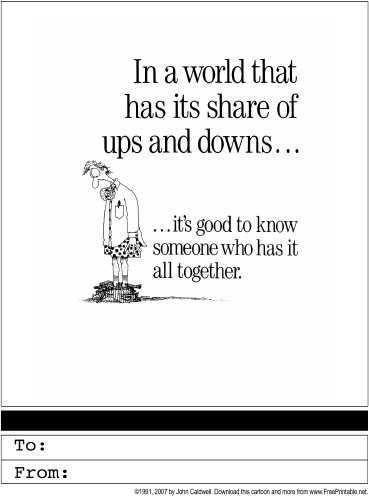 Send this printable card thanking them for having it all together despite life's ups and down. Features funny picture of a man whose pants have fallen down.